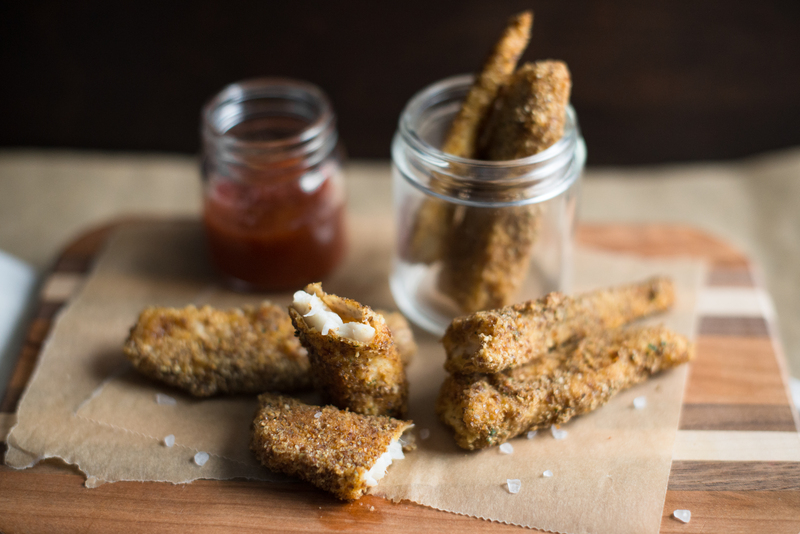 Kids love fish sticks. White fish like cod is a great introduction to fish because it’s not so “fishy” and has a nice texture. I have come up with this breading which introduces even more omega-3’s and fiber with flaxmeal. It blends in well with the breadcrumbs. This basic breading can be used for chicken as well. If your tasters are not fooled you can try again and back down on the flax and wheat germ and increase the breadcrumbs. Serve this with a favorite dip and your kids will be coming back for more! used best with oil mister like "Misto"
Preheat oven to 400 degrees. Line up three bowls. In the first place flour, the second place eggs and the third combine breadcrumbs, flax wheat germ, salt , paprika and garlic powder. Cut fish fillets into “sticks” about 1 x 3 inches. Place foil on a cookie sheet and spray or spread evenly. Place each stick in flour to coat, then egg, then coat in breadcrumb mixture. Place on cookie sheet. When all sticks are completed, mist them generously with olive oil or spray. Place in oven for 10-15 minutes until golden brown. Serve with your favorite sauce. Soft white fish is a great introduction to seafood for babies. Bake some of the white fish without the crust for a really soft texture that can be smashed or puréed with other foods. 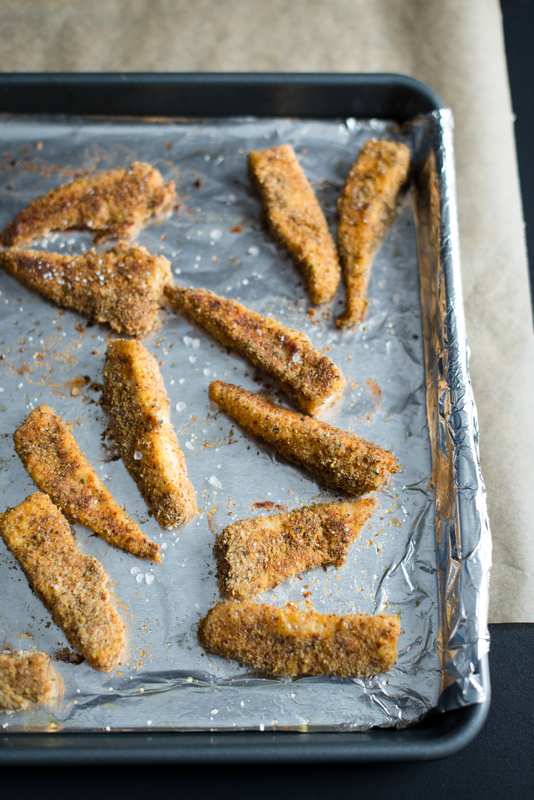 For slightly older eaters, bake the with the breading and cut into small finger-food sized pieces. Talk to your doctor if there is a concern about food allergies, especially with a strong family history.